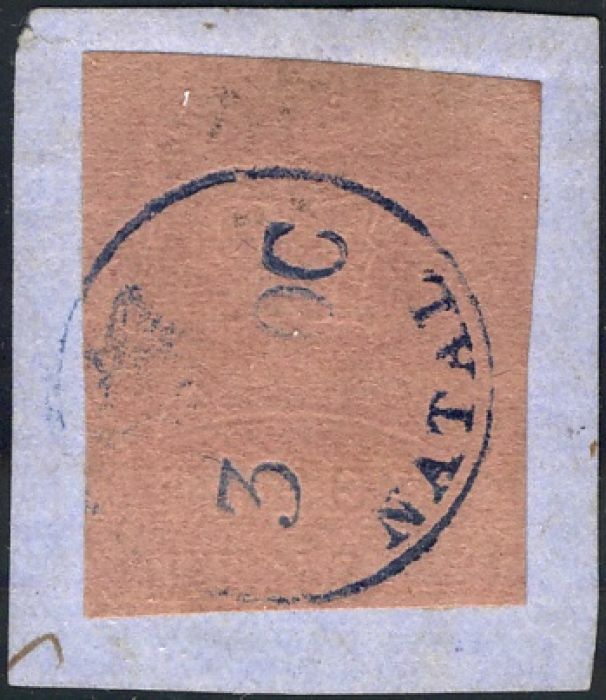 Postal services were organised from 1845 to 1850 by the Natal military garrison and by The Natal Witness newspaper, but these were supressed by the colonial government in 1850 which set up its own service from Pietermaritzburg to Durban, initially using hand-struck markings and in May 1857 introducing adhesive stamps. 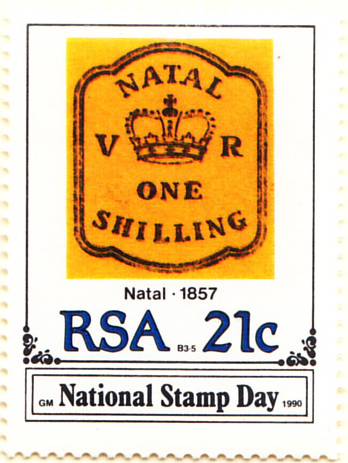 The first issues were embossed in relief on various colours of paper and thus do not reproduce well, but a 1990 South Africa commemorative shows the 1/- (Sc4, SG7) design and the image below is from an article published by the Natal Society. 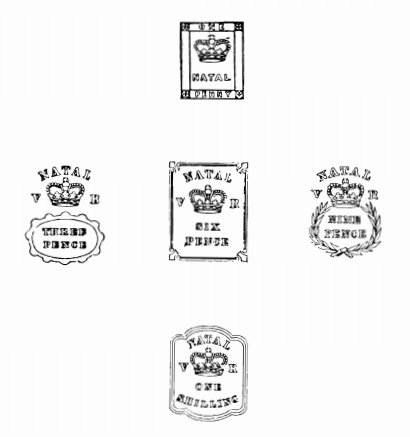 The dies for the embossed stamps were engraved by William Wyon in London and the stamps struck by Messrs. May and Davis at the Natal Treasury in Pietermaritzburg. 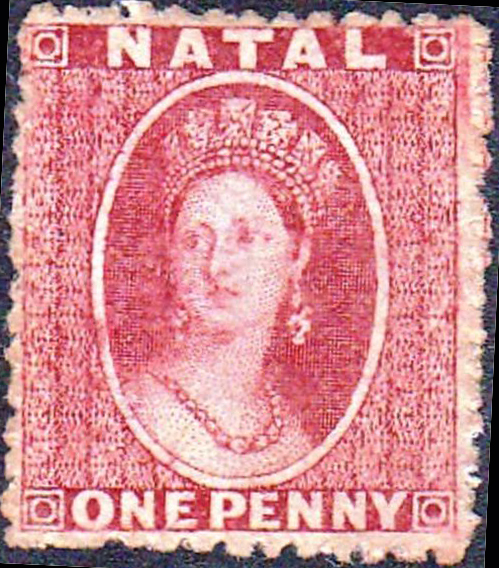 Perkins Bacon produced printed stamps in 1859 using the Chalon portrait of Victoria against a vertical, engine-turned backgound. Images from David Olson, ebay, The Natal Society.